Ginger Gold was discovered as a chance seedling growing near a Golden Delicious orchard in Virginia in the 1960s. The color, shape, and distinctive long stalk all identify it as a relation of Golden Delicious, yet it has a much earlier season - ripening in mid/late August. Unusually for an early apple, but again reflecting a Golden Delicious parentage, it is a good keeper and will last several weeks in the fridge. The flavor is fairly mild, and a bit sharper than Golden Delicious but still sweet for an early variety. It is equally good for eating fresh or processing. Ginger Gold is generally considered one of the best early-season apples. Bought some at a farmstand in Lancaster, Pa. Very disappointing. Too soft, bland taste. Probably been sitting around for a while. Best apple ever. really gonna miss this guy. tastes so good. Love this apple. Tart-sweet & crunchy. Delicious. This apple is cruchy, good texture but I did not like the taste, too much like a granny smith. One of the best apples I have had. I bought them from an orchard in Prince Edward County. I used them for eating and cooking and found them to be very flavourful and versatile. I just bought some of these directly from their point of origin, Nelson County, VA, from the Apple Shed. Unbelievably good! I wish I had bought a few bushels! Here in N central Kansas the ginger gold which I found at my local grocery were mushy, pretty much tasteless and past their prime for eating. They were so pretty to look at, but a disappointment from the first bite. First time that we tasted this apple we were hooked. Crisp/sweet and a bit of tang make it a great eating apple. My wife is a fantastic cook and she made an apple pie using these apples as an experiment. Well the pie turned out great, the apples did not fall and the pie was perfect. No excessive water came out of the apples. Although we couldn't find anyone who recommended this variety for pie making, it works great. Wonderful taste, but I like a crisp apple and Ginger Golds aren't, at least in Phoenix. I've found all apples to be a bit mushier here than when I lived in PA, but even in the best circumstances, these would be too mushy for my taste. Just bought some of these from a local orchard. My mom (who doesn't usually like fruit) loves it. The apple is super juicy and crisp like honey crisp. I'd recommend it to anyone who likes granny smith (ick), because it has similar tartness but it's infinitely tastier. They're also very pretty. :) Can't comment on grocery store ones or on how long they keep - we won't have ours for long! I live in upstate NY "apple country", so I've grown up spoiled with some of the best apples in the world. I used tob be a huge MacIntosh and Macoun fan, but after my first taste of Ginger Gold, I am hooked. They are available fresh much earlier than other varieties, and they keep well. Sweet, not too soft, wonderful texture. There's a pick-your-own orchard near here that grows these. Once I tasted them, I pawned all the apples I'd already picked off on others, and filled my bag with these. Storebought versions of them just aren't the same. The finest apple I've had the opportunity to eat. 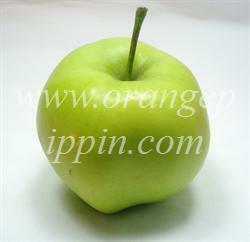 Delicious and beautiful pale yellow apple with fine grained crispy white flesh. Wonderful acidic kick, probably from its Pippin heritage. Glad Costco carries them from PA when in season - addictive.